Purchasing an airline ticket online can be a slow, frustrating experience. In this video, Corey Sandler, consumer expert and author of Bottom Line’s Secrets of the Savvy Consumer, discusses ways that consumers can expedite the process and come away with the best ticket for the least amount of money. 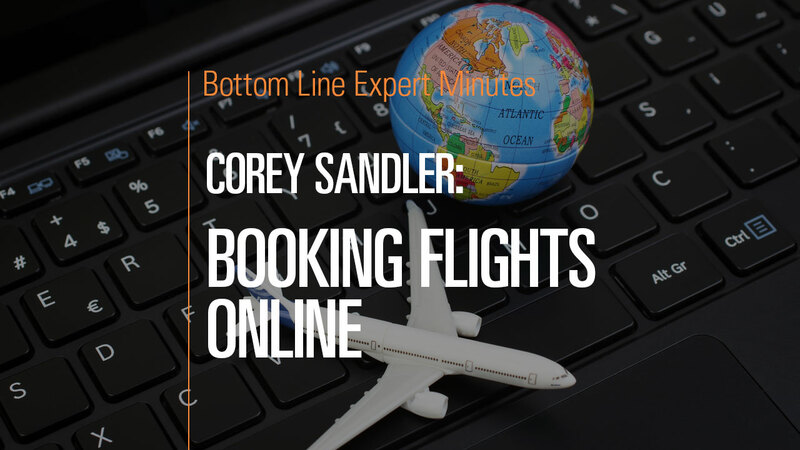 Mr. Sandler first goes to one of the aggregator websites (such as Orbitz, Travelocity or Expedia) that offer tickets from a variety of different airlines. Then he compares fares and offers with the information he finds on the airlines’ own websites. Sandler urges consumers to consider all of the benefits that each sales channel has to offer (in addition to low prices, consumers also may be concerned about airline points/miles, seating choices or other incentives). And online travel agencies may offer additional benefits not listed on other websites.